If you are looking for new construction in Keystone, Colorado real estate take a look at the Townhomes at The Alders. Located approximately one half mile east of Keystone’s River Run, with access to Keystone’s shuttle bus, these duplexes are ideal properties for winter and summer. The Townhomes at The Alders are 3 bedroom residences with 2.5 bathrooms, 2 living areas, a gourmet kitchen and 1.5 or 2 car garages. Each property will offer decks and a spacious patio with room for a hot tub and more. Keystone’s Townhomes at The Alders have low HOA dues at $375 per month which includes snow removal, trash pickup and exterior maintenance. Owners and guests will also have access to the Dakota Lodge outdoor year-round heated pool and hot tubs located in River Run. 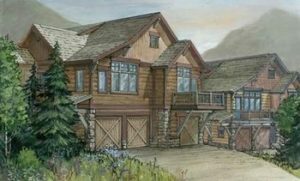 For floorplans, finishes and additional information about the Townhomes at The Alders or other properties for sale in Keystone, Colorado contact Justin and Krystal Knott with LIV Sotheby’s International Realty. Call us to discuss your search at 970.333.9050, browse the entire Summit County MLS with us online or email us directly at knott@sothebysrealty.com.